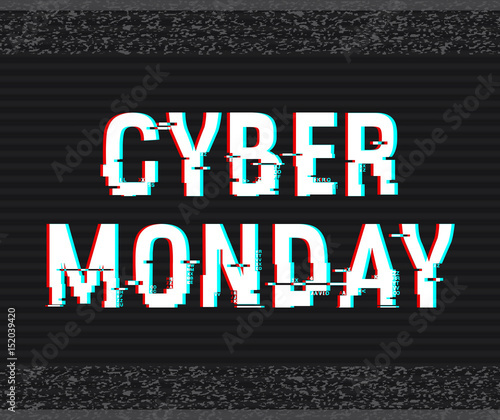 Cyber Monday glitch text. Anaglyph 3D effect. Technological retro background. Online shopping concept. Sale, e-commerce, retailing, discount theme. Vector illustration. Creative web template.